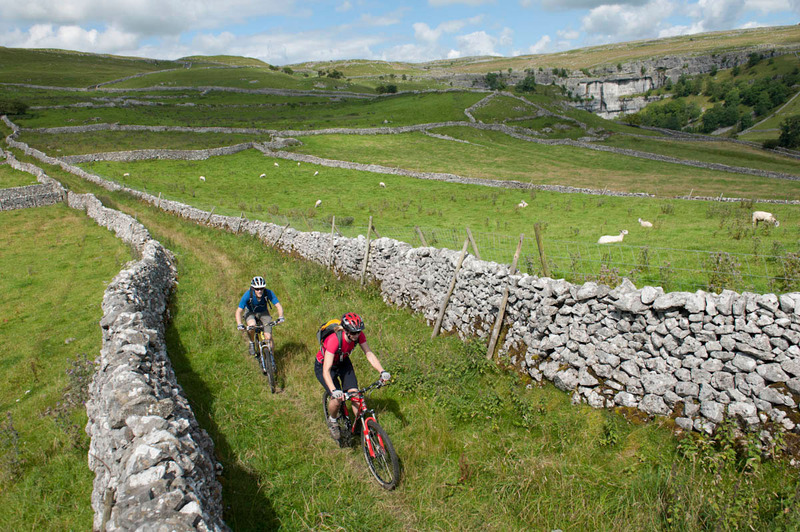 Increasing numbers of visitors are now coming to enjoy our stunning countryside and miles and miles of cycle-friendly routes in the Yorkshire Dales. Whether you want to test yourself on the arduous Tour de France and Tour de Yorkshire routes or prefer to mountain bike off-road with your family, there are are now plenty of options. You can hire bikes from a growing number of businesses full of cycling knowhow who'll willingly tell you about their favourite routes. Stuart and Brenda Price at Dales Bike Centre by Reeth were among the first to help visitors enjoy cycling in the Yorkshire Dales with their bike shop, bike hire, and excellent little cafe (especially the cakes!). They offer courses and guided tours to show cyclists some of the best routes in the country. Stage 1 Cycles are based at the Firebox Café in Hawes. 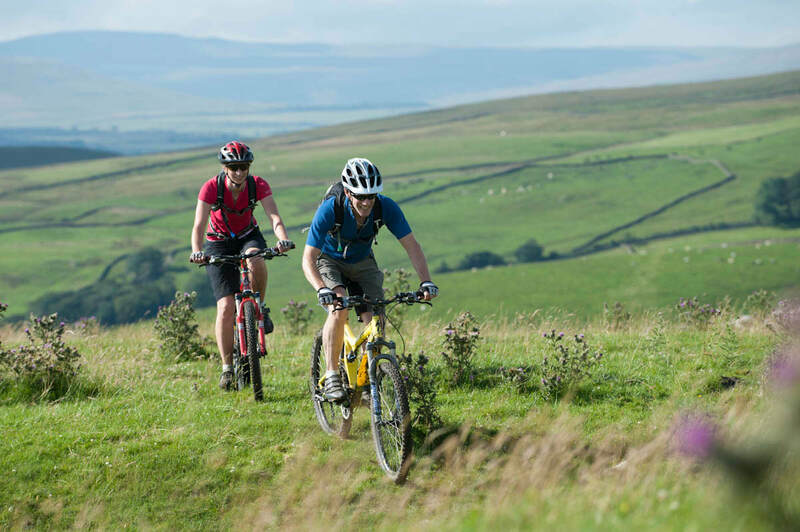 Alongside their bike shop and hire, they will also help you find routes for younger members of the family so everyone can enjoy cycling the Dales. Over in Settle, Three Peaks Cycles offer bike hire and route suggestions, and you can hire electric bikes to take the strain out of the hills! Cycle Adventure offer mountain and road bikes for hire, guided mountain biking and biking skills courses on the Eastern side of the Yorkshire Dales. You can also hire bikes in varying shapes and sizes at Nidderdale Cycle Hire in Summerbridge where the terrain isn't quite so demanding. Yorkshire Velo Tours near Ilkley offer cycling tours, rides and routes and group events are designed for riders of all abilities. Inspiring Cycling near Kirkby Stephen specialise in helping people on the Coast to Coast route, and include hybrids and electric bikes in their fleet. Fancy cycling with a difference? ​How about a bicycle made for two? You can hire tandems for the day from JD Tandems in Gargrave near Skipton. If you're going to attempt one of the longer cycling touring routes you might need a little help with your luggage. Brigantes Baggage Couriers offer the perfect service for you, transferring luggage between key points and accommodation so you don't have to carry everything on your back. Since the Tour de France, the Yorkshire Dales have become known for infamous climbs such as the Buttertubs Pass, Park Rash near Kettlewell and Fleet Moss out of Hawes. With more than 600 miles of routes and green lanes to explore there are plenty of adventurous mountain biking areas as well as shorter valley bottom routes more suitable for young families. You might want to choose one of the longer routes in and around the Dales such as the Yorkshire Dales Cycle Way, Way of the Roses, Coast to Coast, Nidderdale Green Way, Yorkshire Dales Cycleway and Pennine Bridleway. 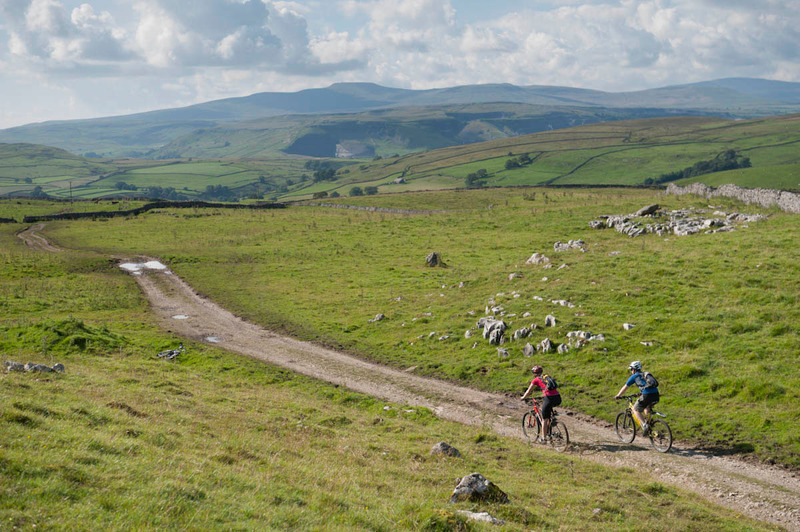 Take a look at the Cycle the Dales website for more details of these and many other recommended routes, both on and off-road.